Trade, Investment and Innovation Working Paper Series No. 01/Apr 18. This study examines the prevalence of trade misinvoicing in Asia and the Pacific. Trade misinvoicing is closely related to the study of illicit financial flows (IFFs), combating which has been explicitly included as part of the 2030 Development Agenda (target 16.4). The motivations behind trade misinvoicing include avoiding stringent capital controls, profit shifting, capital flight, direct and indirect tax avoidance, tariff and non-tariff measures avoidance, as well as fraudulent acquisition of tax rebates and export subsidies. By comparing bilateral export and import data at HS6 digit level of aggregation, this study finds evidence of substantial illicit financials inflows and outflows within the Asia-Pacific region. As much as 7.6% of regional tax revenue may have been lost in 2016 due to fraudulent export and import value declarations. However, only examination of highly disaggregated bilateral data, ideally at transaction level, can paint a true picture of the scale of misinvoicing within the region. 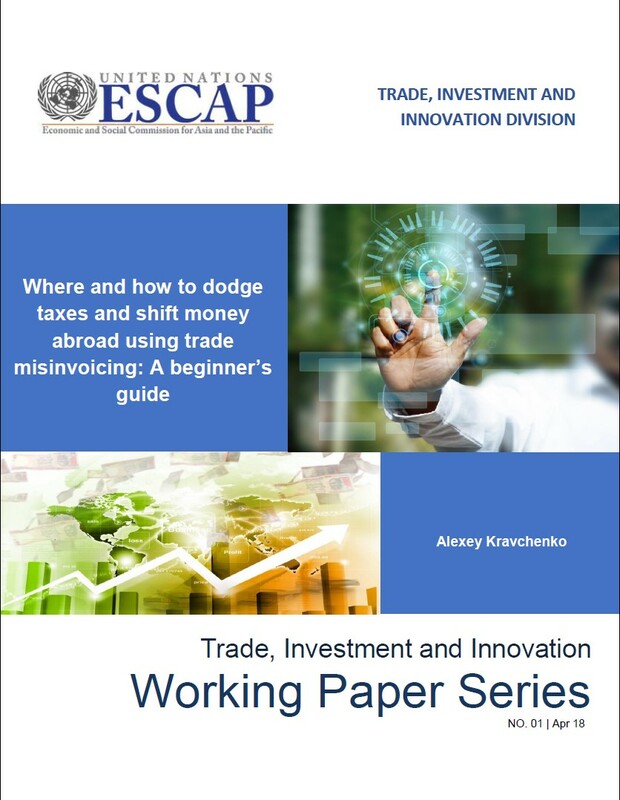 Furthermore, cases where misinvoicing applies on both import and export sides of a transaction cannot be effectively captured through trade matching techniques applied in this and other trade misinvoicing studies, and would require examination of unit price distributions. By closing loopholes enabling misinvoicing, substantial resources can be added to governments’ revenues. The findings presented in this study highlight that the landscape of trade misinvoicing in the Asia-Pacific region is diverse and requires close cooperation between customs and tax offices in different countries, such as through the Framework Agreement on Facilitation of Cross-border Paperless Trade in Asia and the Pacific.